As the sun set on a downtown party Wednesday night, pink mixed drinks swam down an ice luge into attendees' cocktail glasses and parting gifts came in the form of honey jars. It wasn't a pre-Valentine's Day soiree but rather a quirky kickoff to celebrate the newest -- and most unconventional -- tech incubator in town, called CyberHive. The nonprofit, which will incubate security-focused startups, is the first of its kind on the West Coast. Select firms will receive up to $200,000 in start-up capital, in addition to business and research mentoring. The CyberHive concept first started in Maryland, which is home to the National Security Agency. "Maryland is the epicenter of cyber, but we are really the hub of cyber," said Darin Andersen, founder of CyberHive San Diego. He reached out to Maryland's hive two years ago about planting the concept in San Diego. Andersen is general manager of Norman AS, a developer of malware analysis and security software, located just upstairs from CyberHive at 1855 First Ave.
“[Andersen's] so passionate about this industry and growing this industry in San Diego,” said San Diego City Councilman Kevin Faulconer, at the launch event. Faulconer and Andersen have been friends for years and frequently take long bike rides on the weekends together. That social relationship has now translated into a professional one. 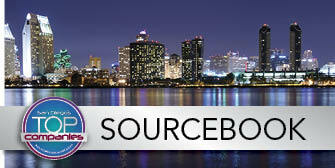 CyberHive San Diego operates as a public-private partnership, and the timing of its launch couldn't have been better. President Barack Obama's cybersecurity executive order, released this week, directs the Commerce Department to work with companies that operate critical infrastructure to develop best practices to combat cyber attacks. “[CyberHive] wouldn’t happen without your investment and taking a risk that says this is going to work in San Diego. We know it’s worked in Maryland," said Faulconer, addressing the crowd. The Pentagon wants to create a bigger army to fight threats, with plans to expand its cybersecurity force by 4,000 in the Defense Department's Cyber Command. Aside from Norman, other local security companies include Websense Inc. (Nasdaq: WBSN) and ESET. Lightner noted that the "who's who" of cybersecurity are signed on as sponsors of San Diego's hive. Sponsors include American Internet Services, Accelerate-IT, Cox Communications and Sony. CyberHive has reached out to more than 100 local organizations for financial and mentoring support. One benefit of exposing startups to high-end facilities like CyberHive, notes Lightner, is it gets them accustomed to the benefits of Class A office space. That is the case with EvoNexus, a nearby incubator under the CommNexus umbrella that sets up its software startups in a prime downtown building at 101 W. Broadway. "This is about incubating people from their bedroom or garage. This is the next step,” said Andersen, whose company is a principal sponsor of the hive. Its startups will pay a subsidized cost to work in the space for six to 18 months. That money will go back into the honey pot to keep the program going. The space will officially start buzzing with startups on March 1. Applications are currently under review. Since cybersecurity companies don't need much -- essentially just a workstation and an Internet connection -- about 20 companies will be able to squeeze into the hive. The CyberHive is led by an 18-person board of advisers from the Maryland hive, as well as from Qualcomm Inc. (Nasdaq: QCOM) and the NSA. San Diego City Council President Todd Gloria thinks the downtown location will be a big draw and get more companies to stick around once they fly out of the incubator. He hopes the CyberHive churns out big-name companies in the future, like a Qualcomm or General Dynamics (NYSE: GD). “I’m dreaming big, but I think it’s possible,” he said. For now, the finished space is awaiting its first startups. Andersen's wife took the queen bee role in leading the interior design. “She was inspired by the whole beehive concept,” said Andersen. The hexagon shape, symbolic of a beehive, is visible throughout the space in the form of mirrors, netting, and even donation cards. A gigantic table in the back -- which doubled as a spacious bar for the launch party -- will act as a shared workspace for developers. “We want them to work collaboratively, with two to 12 developers working here,” said Andersen. To determine how to maximize the use of space, he got advice from Vincent Mudd, president and CEO of San Diego Office Interiors. “We tried to keep it very flexible and configured it in different ways to allow different kinds of work. Plus people are moving project to project,” said Andersen. Worker bees can take a break with an octagon bumper pool table in one room or get fresh air in an adjoining outdoor patio space, which was filled with sushi and meat carving stations for the launch party. Andersen reminded guests to take a jar of locally made honey with them. Oct. 14, 2014 -- Executive Editor George Chamberlin discusses cybersecurity with Andrew Lee, CEO of ESET, and retired Rear Adm. Kenneth Slaght, vice president of naval IT solutions for General Dynamics. March 25, 2010 -- Executive Editor George Chamberlin speaks with Darin Andersen, COO of ESET LLC, about cyber security. Feb. 18, 2010 -- Executive Editor George Chamberlin speaks with Darin Andersen, COO of ESET, following a roundtable discussion on cyber security.